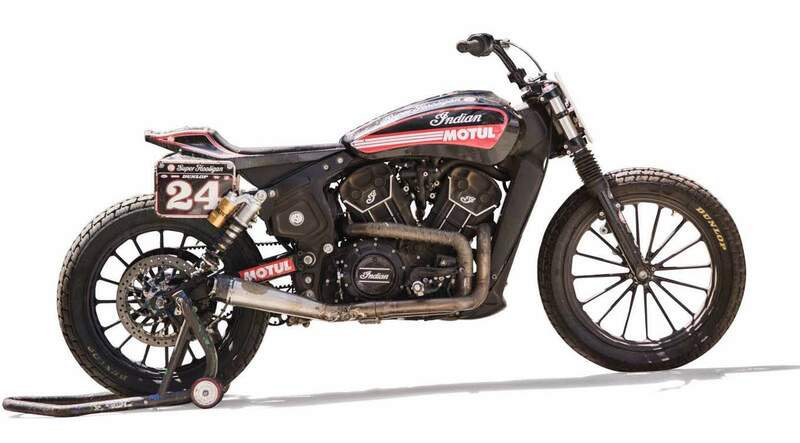 Roland Sands Design were given five new Scout Sixties and asked to turn them into flat trackers. The only condition was that they should leave the engine internals stock, so the toughness of the stock engine could be showcased. 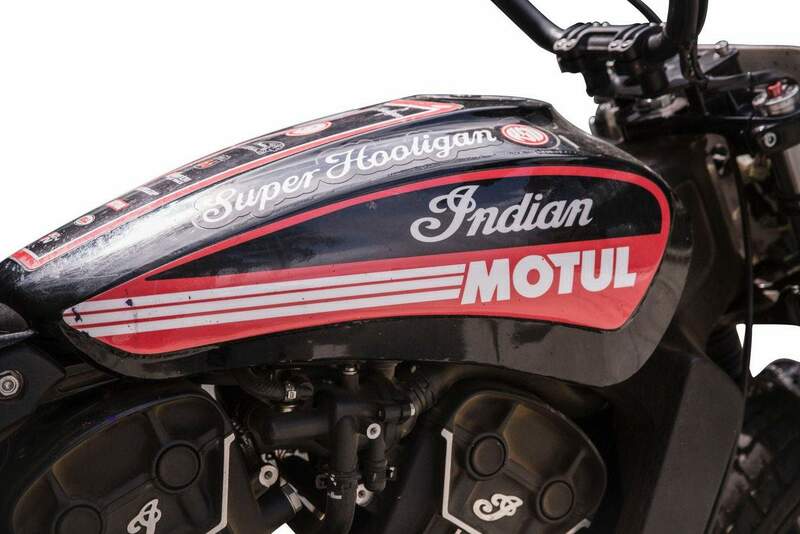 The guys at RSD twanted to lower the weight of the original bike whilst keeping the same basic look – so the stock fuel tank had 6 inches cut out of its center – reducing weight but keeping the same side profile. 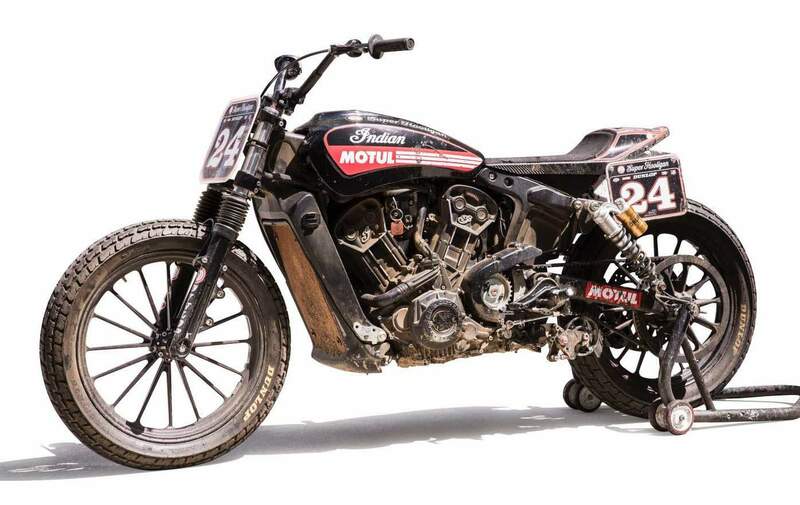 The Scout’s original aluminum frame was kept in place and a new RSD prototype aluminum subframe was fitted, capped with a carbon fiber flat tracker tail section with plastic number plates, and a low profile race foam seat. While the engine internals are the same, the intake and exhaust have been modified with bolt on parts. 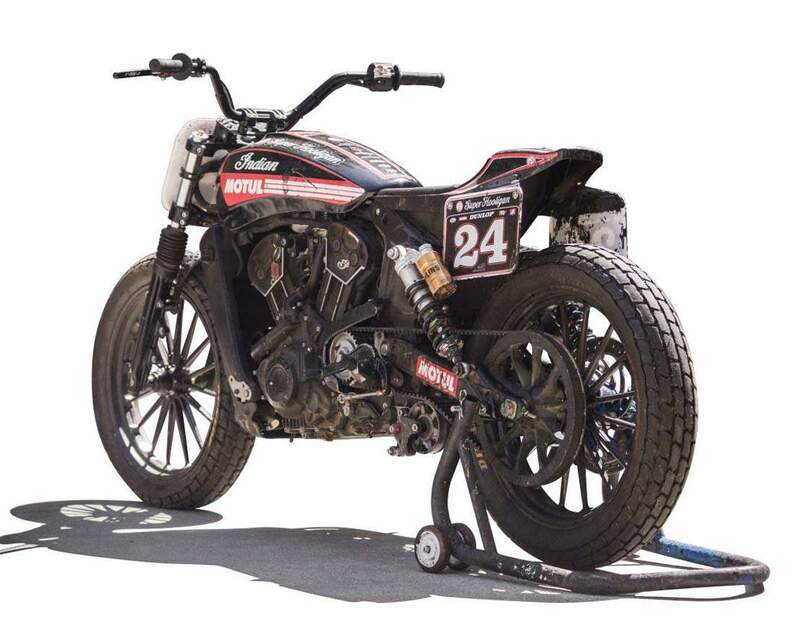 The original airbox was swapped out for an Arlen Ness Torque Box, and a new RSD bespoke stainless steel 2-into-1 exhaust was built in-house and fitted. 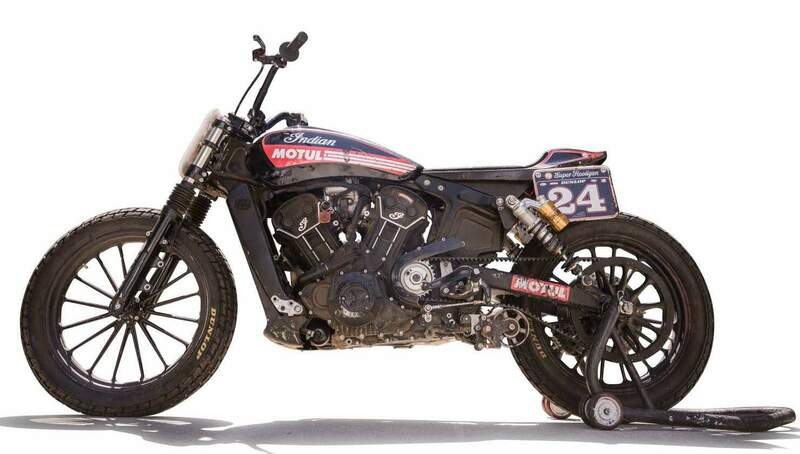 Flat trackers don’t typically have front brakes – so the front disc and caliper were removed for weight savings, and the forks were modified with a GP Suspension Cartridge Kit, British Customs 41mm fork boots, an RSD-modified fork brace, and modified triple clamps to increase steering angle. 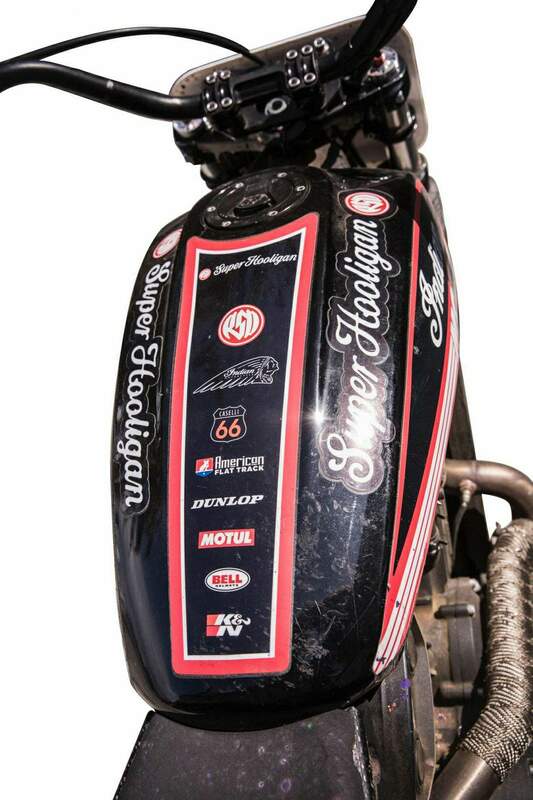 A pair of matching Öhlins piggyback shocks were installed on the rear, with RSD prototype multi-angle chromoly shock mounts. 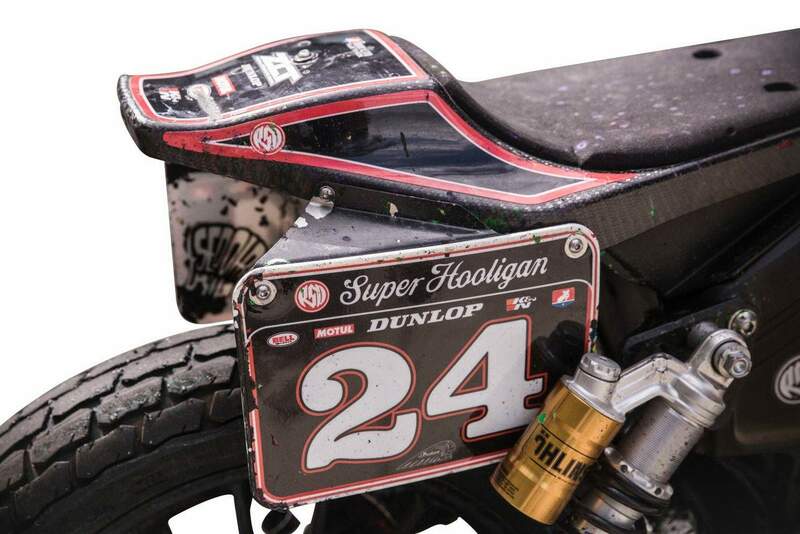 The original wheels were swapped out for a matching pair of RSD Traction Flat Track race wheels, and shod with Dunlop DT3 Flat Track race tires front and back. 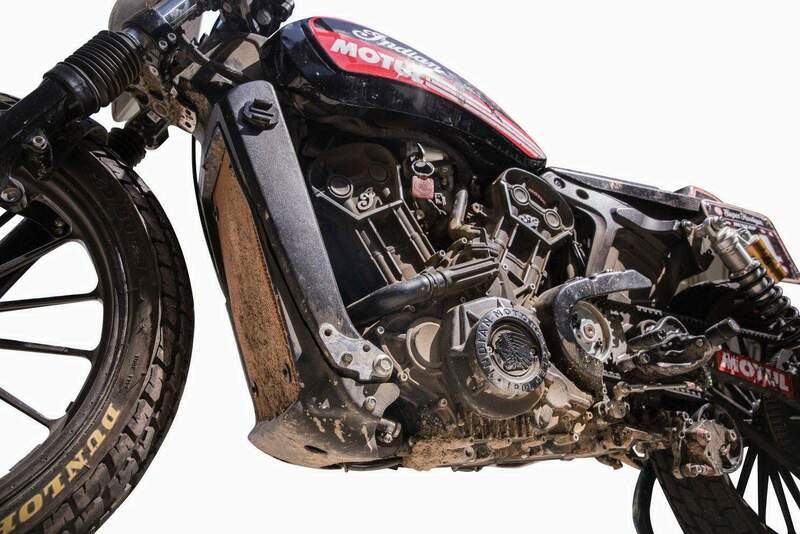 The original shifter location was going to be badly positioned with the bike’s new ergonomics, so it was moved with bespoke prototype chromoly foot control relocation plates. 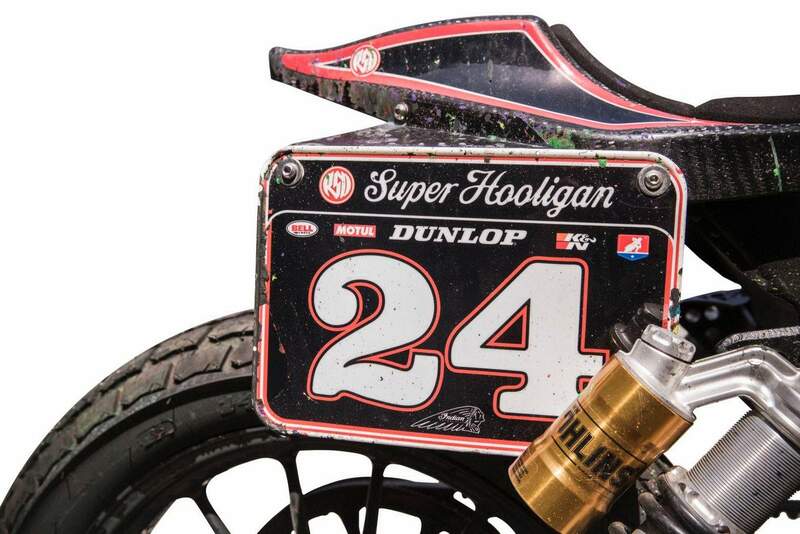 The original handlebars were swapped out for custom flat track bars with a 1 inch riser and Renthal MX grips.